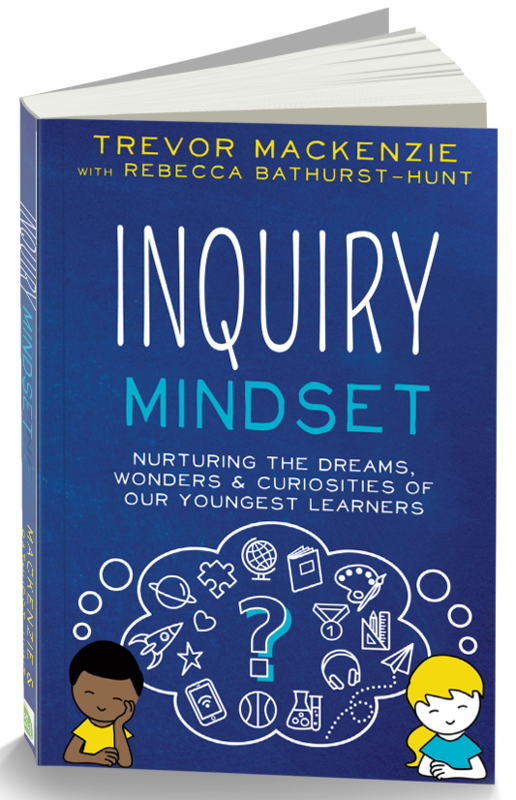 From their youngest years our children are innately curious. 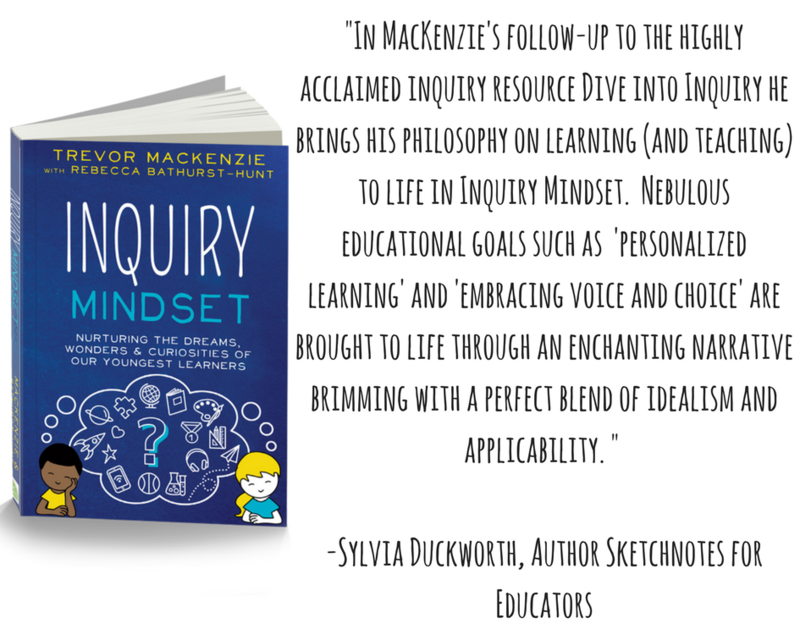 They explore the world around them through play, imagination, and discovery. 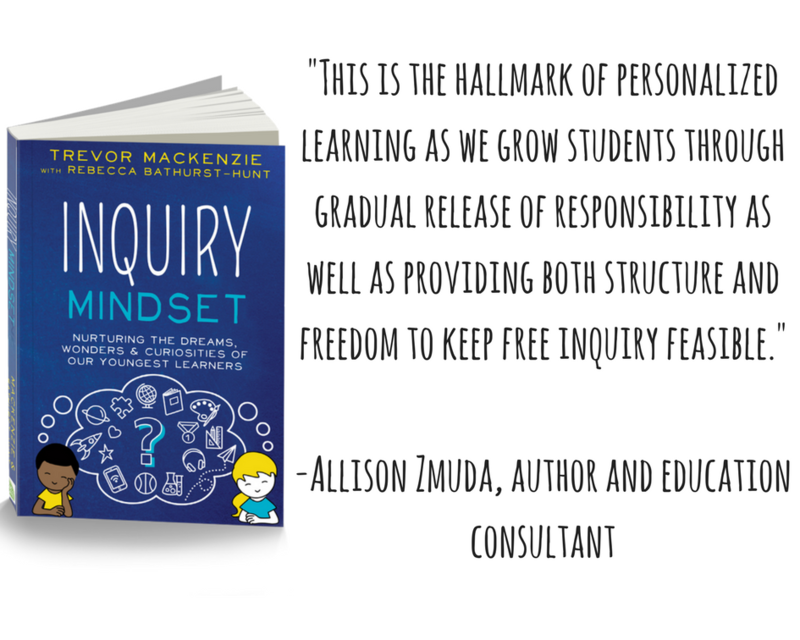 They build meaning, they create understanding and they unabashedly share this growth with their family and friends. 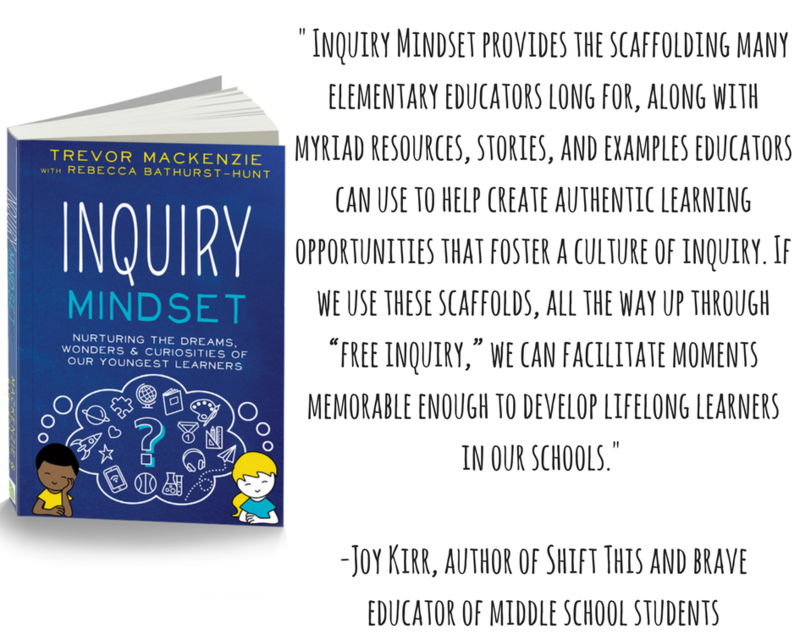 It’s in this process that they find joy in life and relevance in the world around them. 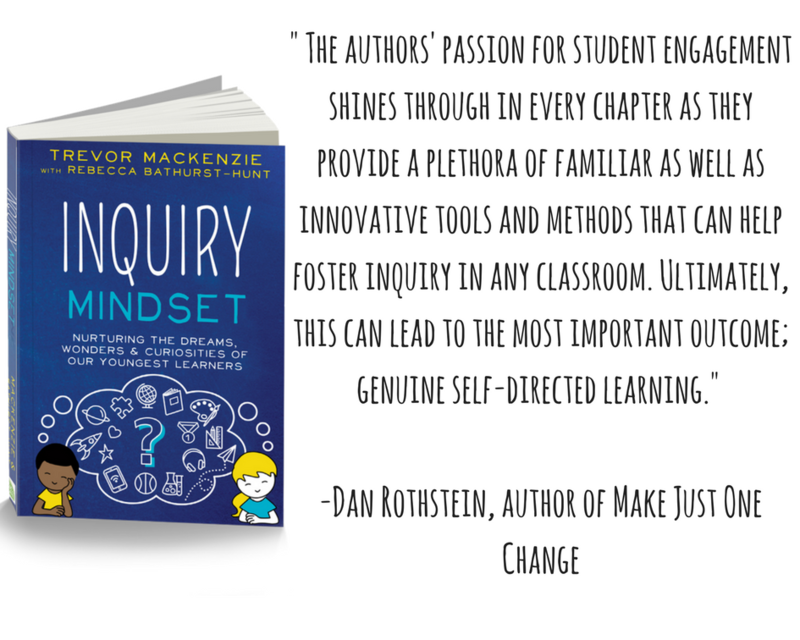 Why, then, do some of our students become disconnected from their learning in school? 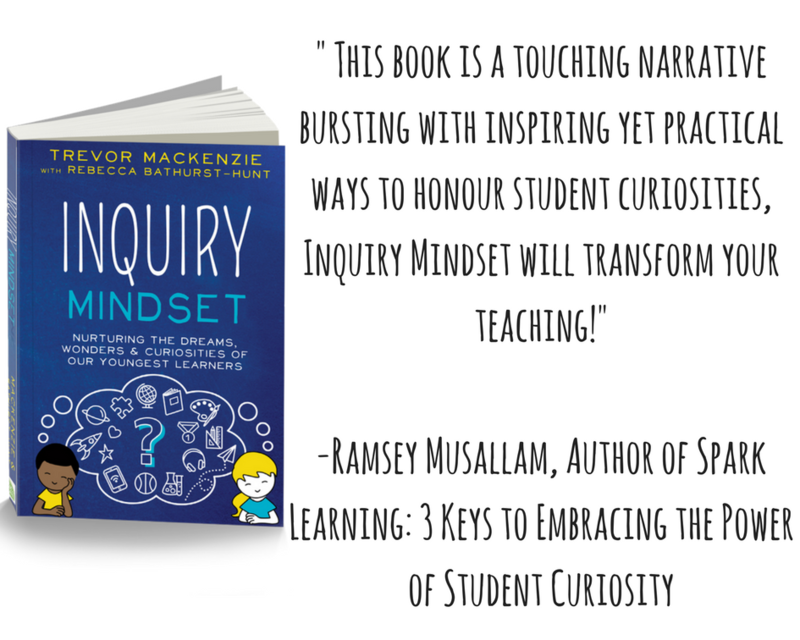 Where does this natural curiosity go? 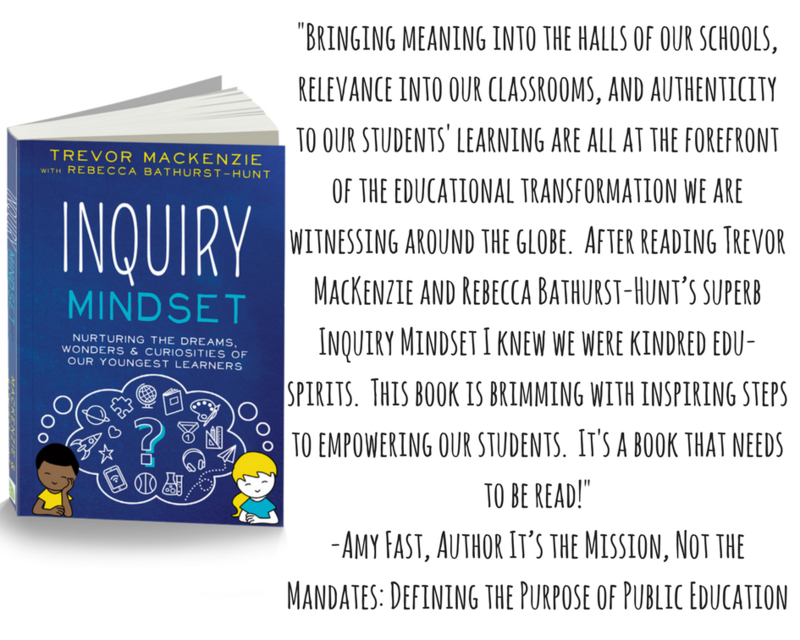 And how, as educators, can we ensure all of our students experience a meaningful and wonder-filled journey through their education? 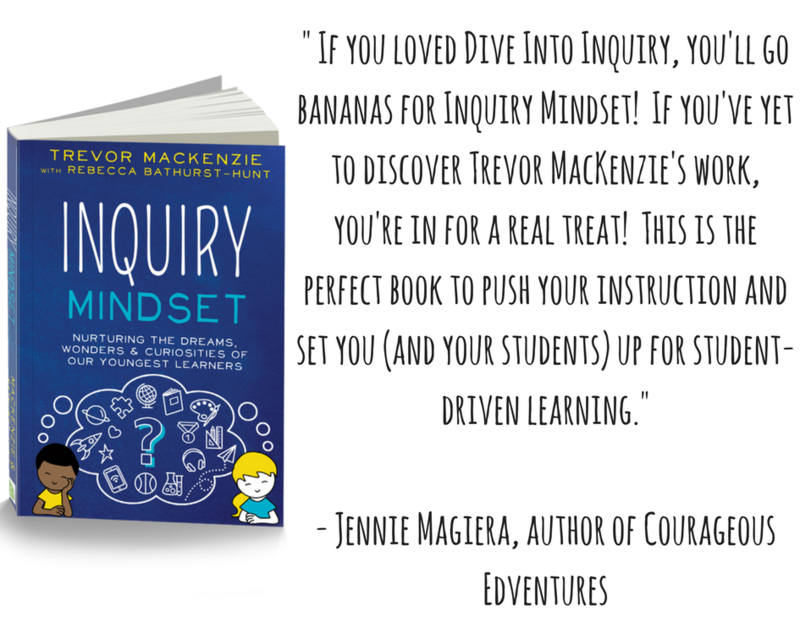 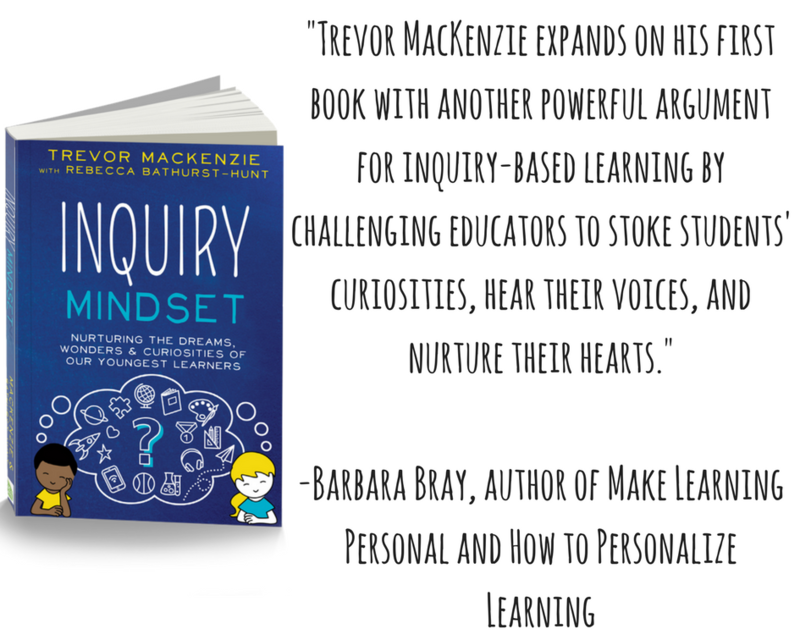 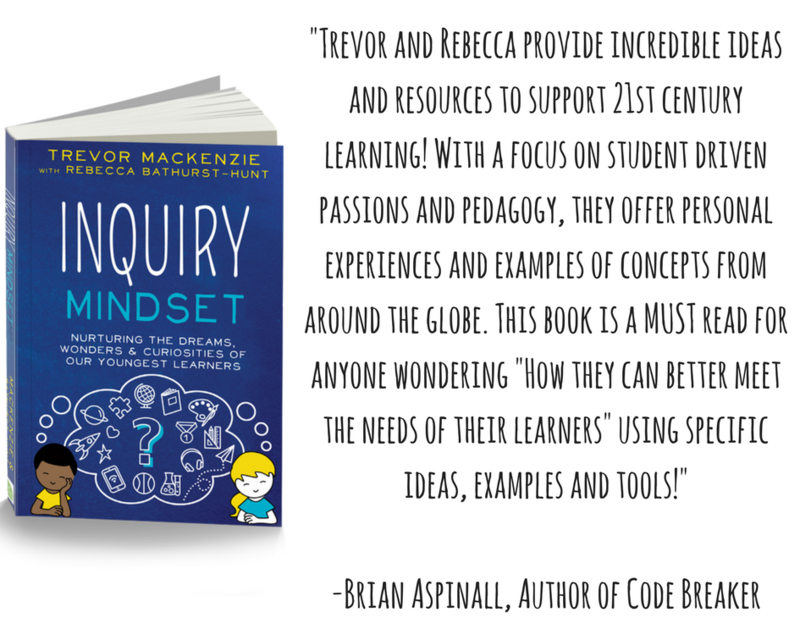 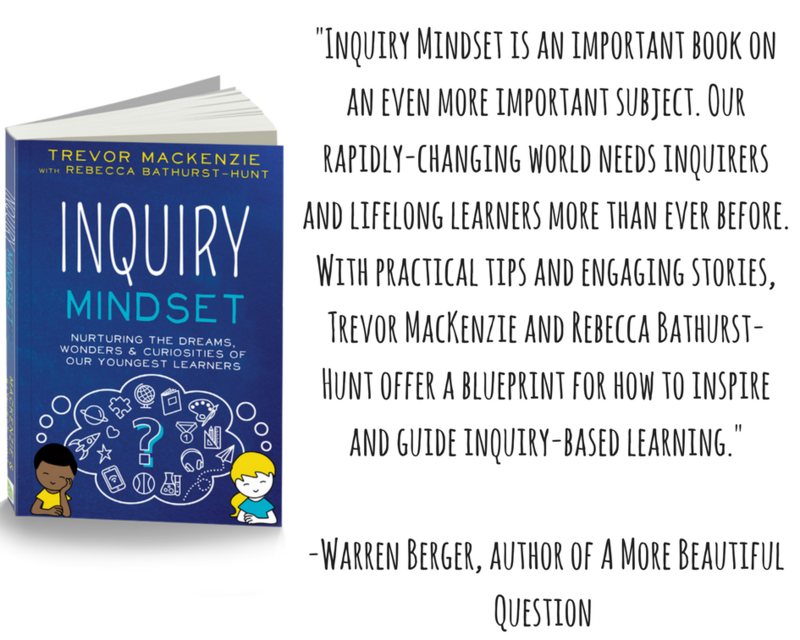 It’s these questions that Trevor MacKenzie, author of the critically acclaimed book Dive into Inquiry, answers in Inquiry Mindset. 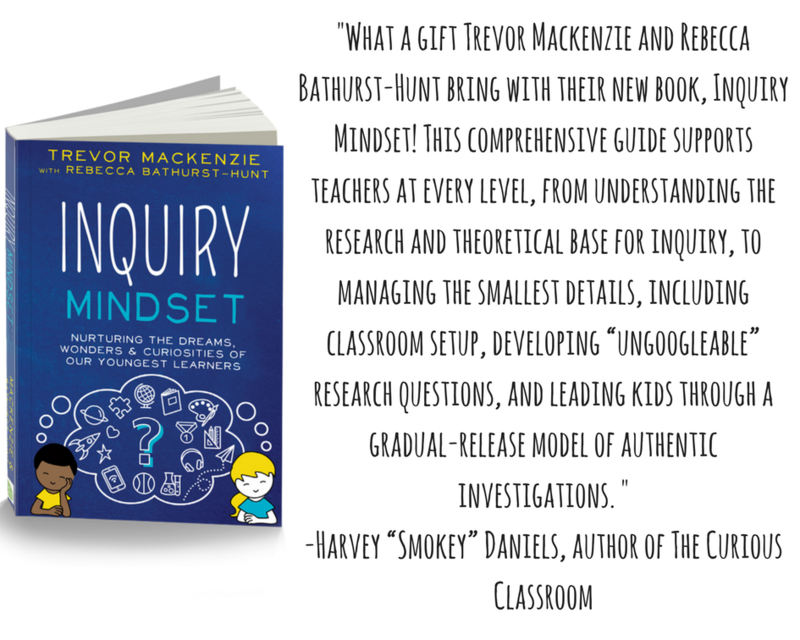 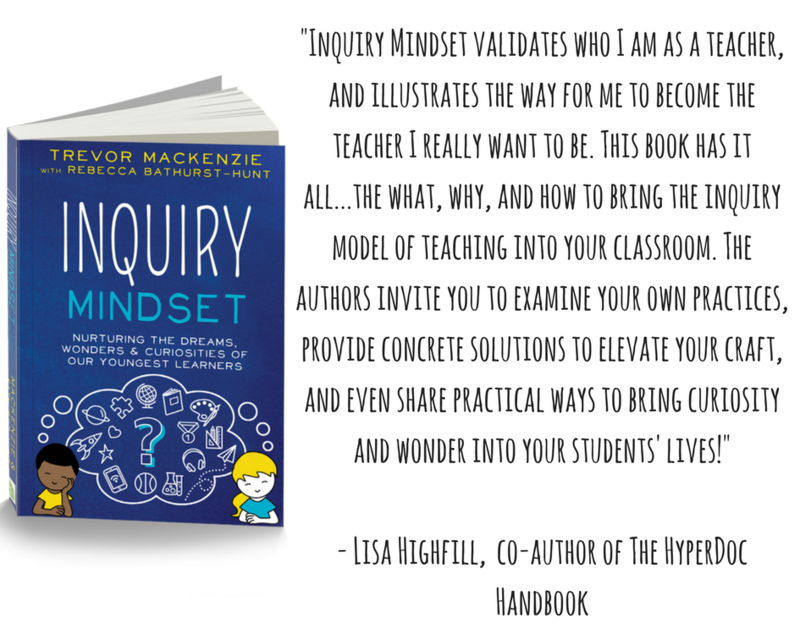 Co-written with kindergarten teacher Rebecca Bathurst-Hunt, Inquiry Mindset offers a highly accessible and meaningful journey through inquiry in the younger years. 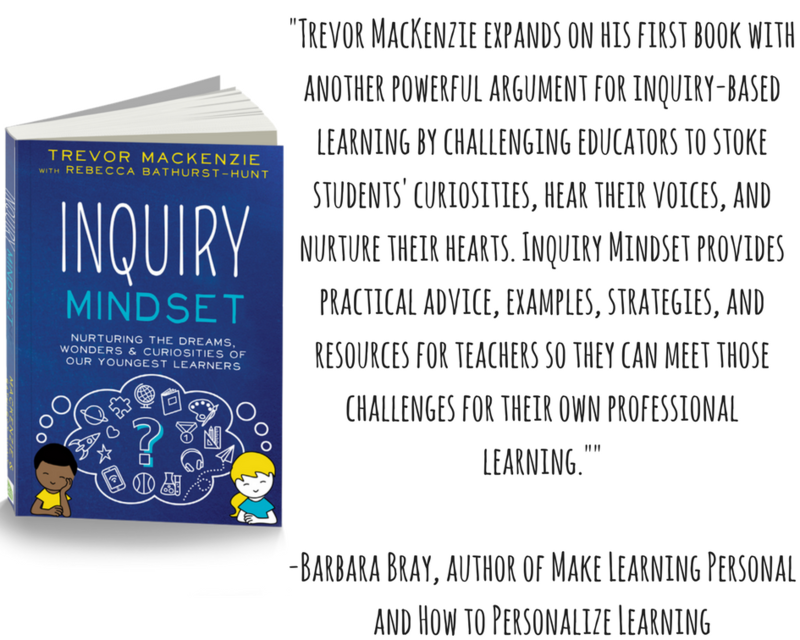 You’ll learn . 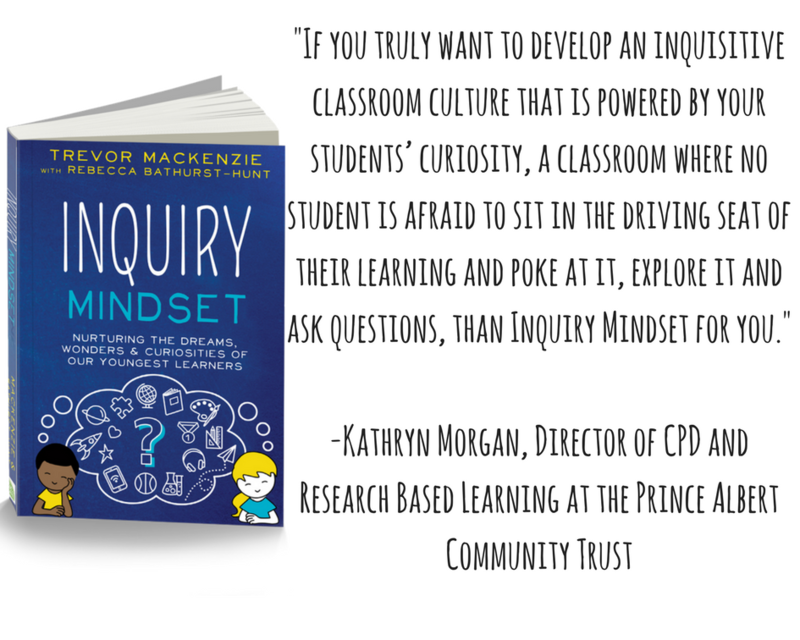 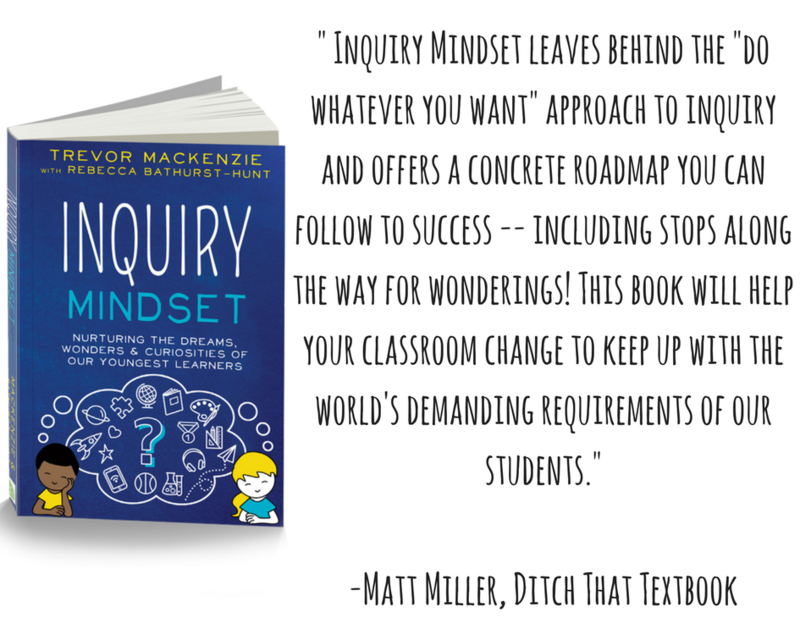 . .
How to cultivate an inquiry mindset both as a teacher and in your students! 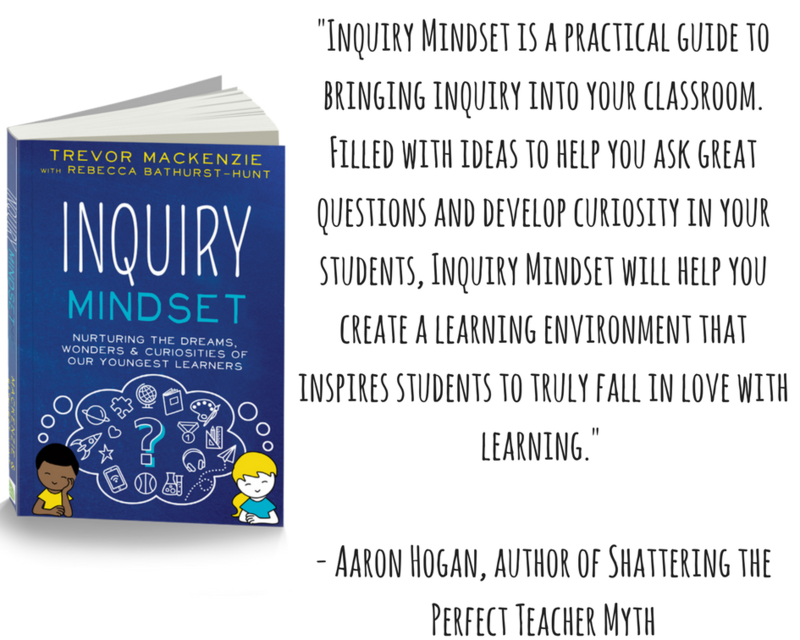 How to adopt an inquiry approach in your classroom that doesn’t result in “free time” but rather the most authentic and inspiring learning you’ve ever experienced!